November 6, 2012 - On Thursday the Office of Inspector General (OIG) issued a report on the management policies and processes of the Metropolitan Washington Airports Authority (MWAA). 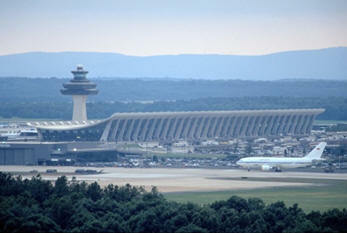 Established through the Metropolitan Washington Airports Act of 1982, MWAA operates the federally owned Washington Dulles International and Ronald Reagan Washington National airports under a lease agreement with the Department of Transportation (DOT). It is also responsible for designing, constructing, and partially financing the Dulles Corridor Metrorail Project. OIG conducted their audit at the request of Representatives Frank Wolf and Tom Latham. As a result of OIG audit work and increased public scrutiny, MWAA has taken action to improve its accountability, transparency, and governance, such as approving new travel and ethics policies for employees and its Board of Directors. However, further actions remain to fully address the management weaknesses we identified during their audit. First, MWAA’s contracting policies and practices are insufficient to ensure compliance with the Airports Act and the lease agreement between DOT and MWAA. OIG also found issues with ineffective contract management and oversight and a lack of adequate procurement integrity policies to ensure impartiality when awarding and administering contracts. Second, MWAA’s code of ethics for its employees and its related policies and procedures have lacked the rigor needed to ensure credibility and the integrity of management and employee decisions. For example, some MWAA employees regularly accepted inappropriate, high-dollar gifts from an MWAA contractor. Third, MWAA’s human resources practices lack oversight and accountability, resulting in employees being hired and compensated without job descriptions, competition, pay setting reviews, or completed background checks. Finally, while MWAA has taken positive steps to improve its Board of Directors’ accountability and transparency, significant attention will be required to ensure that new travel, ethics, and disclosure policies are implemented and enforced. OIG made 12 recommendations and 30 specific sub-recommendations to the DOT Office of the Secretary (OST) to improve MWAA’s management policies and processes. OST responded that it has been working with MWAA over the last several months to ensure that it swiftly adopts needed reforms. OST also stated it will formally transmit the report to MWAA with a clear expectation that the Authority produce a detailed response within 30 days.